One effort to transform the teaching and learning of science seems to be gaining traction. 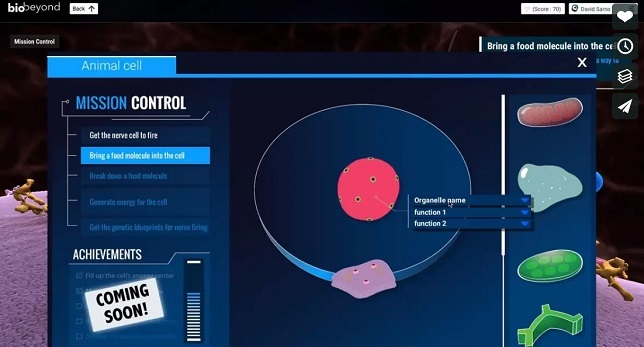 A recent analysis of the use of BioBeyond, an introductory college biology course that uses simulations, virtual field trips and adaptive technology, showed better learning outcomes than the use of traditional instruction. 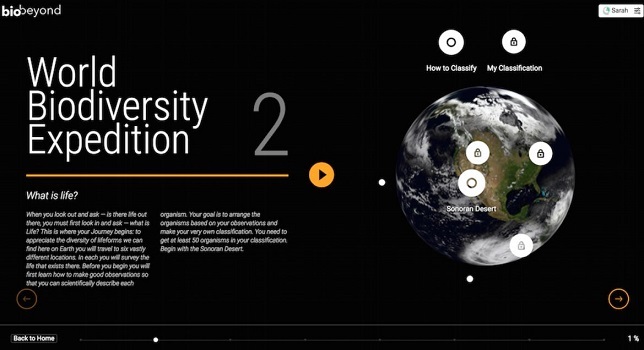 BioBeyond is an online course that uses a "big question" approach to engage students by asking them to explore how to find life in the universe. In the process of investigating that subject, students delve into what life is, how it became so diverse and how it evolves, what it's made of, how we can test for its existence beyond Earth, and what the future of life is on our planet and elsewhere in the cosmos. The idea is that as they work through various units that take them to the Galapagos Islands, into a cell and out to Mars, among other virtual journeys, students learn what they're expected to know in a standard first-year biology class. The program is built to be adaptive; every learner experiences a unique version of the course based on individual knowledge and skills. The course includes 56 lessons, 13 virtual field trips, four projects and about 70 hours of "learner engagement." Students are assessed as they work through the program, earning points in specific categories (informational, formative, instruction and so on) to help instructors monitor their progress. SRI International performed the assessment, based on examining end-of-course grades for 1,800 students in four institutions during fall 2016. The study showed a "statistically significant impact on grades for three of the four institutions," according to SRI. Arizona State University and Miami Dade College saw improvements of about half a letter grade when they used BioBeyond as part of a blended or hybrid course. In a separate controlled study at Miami Dade College, supported by Arizona State's Center for Education Through eXploration, one professor, Alfredo Leon, saw a "significant increase" in the number of students who earned an A or B exam grade in sections where he used BioBeyond (33 percent vs. 19 percent). "The BioBeyond curriculum takes students through a meaningful learning journey, using real-world science problems that spark their curiosity, getting them excited to form a deeper understanding of scientific reasoning and problem-solving skills," said Leon in a prepared statement. "The learning experiences are also visually stunning and immersive, which helps to engage students." 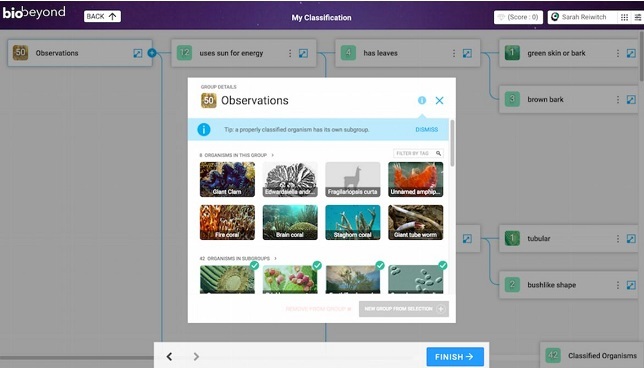 BioBeyond was developed by the Inspark Teaching Network, a partnership of schools, scientists, educators and instructional designers to create courseware that uses the latest digital technologies for teaching science. The network is led by Smart Sparrow, which produces a courseware platform, and Arizona State University. The project is supported with funding from the Bill & Melinda Gates Foundation. Currently, according to Inspark, the curriculum is used in 70 colleges around the country. A rundown on the curriculum is available on the BioBeyond site. The study was not made publicly available.